Peace (Made in Taiwan) 5B Drum Sticks – Sold Out! Peace (Made in Taiwan) 5A Drum Sticks – Sold Out! 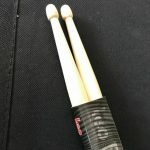 5A DRUM STICKS – Sold Out!